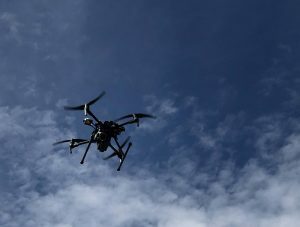 Unmanned Aerial Vehicles: Just as we pioneered 3D scanning in Alaska, BELL has also kept up with the latest technology in Unmanned Aerial Vehicles (UAVs or Drones). We utilize the latest technology in the Drone world to complete everything from topographic photogrammetry and remote site inspection to stockpile and excavation quantities and pipeline/tower inspections. Our fleet of UAVs are equipped with high resolution/high zoom cameras, infrared and thermal imaging capabilities, and the technology to operate in Alaska’s extreme environments. Our 5 FAA licensed UAV pilots utilize these capabilities every day to provide a more cost effective deliverable and a safer job site for our clients. Photogrammetry: Using aerial photography in surveying and mapping to measure distances between objects can be extremely time efficient and cost effective as well as mitigate potential hazardous areas for surveyors. Using aerial photogrammetry, topographic surveys can be completed in a ¼ of the time of conventional surveys while capturing more detail of the area. This results in less time on the ground, which equates to lower cost for each project, and more importantly, a safer method of completing the work. With the combination of conventional sur vey ground truthing and aerial photography, it is possible to achieve accuracies as low as 0.1’ or 3 cm. Volumetrics/Quantities: Managing stockpile inventory and calculating volume measurements can be a challenging task for many companies. Accurate assessments of volume can potentially yield higher levels of return. Because stockpiles generally do not conform to a perfect shape, accurate measurements using conventional methods can be taxing. 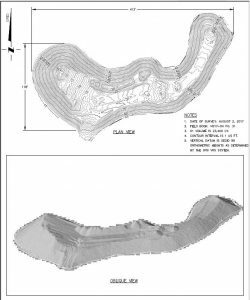 Photogrammetric surveys with UAVs coupled with ground control points can provide accuracy margins between 2% and 5% for material stockpiles. 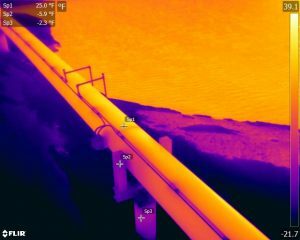 Visual and Thermal Inspection: Visual inspections of remote areas and complex infrastructure are traditionally done by chartered aircrafts or humans in high riskpositions and can be very costly and/or dangerous. High resolution and increased zoom cameras equipped on our fleet of drones allow for visual inspections to be conducted in a safe and cost effective manner. Coupled with high sensitivity thermal imaging capabilities, accurate temperature measurements along a variety of surfaces can be made. Inspections can be done to identify large temperature differences in real time or identify hot and cold spots using analytical software. Early detection of heat leaks or structural issues can prevent costly repairs and avoid potential structural failure. The high resolution camera also allows for a safer method of inspection when it comes to infrastructure such as power lines, flare lines, and large stacks.